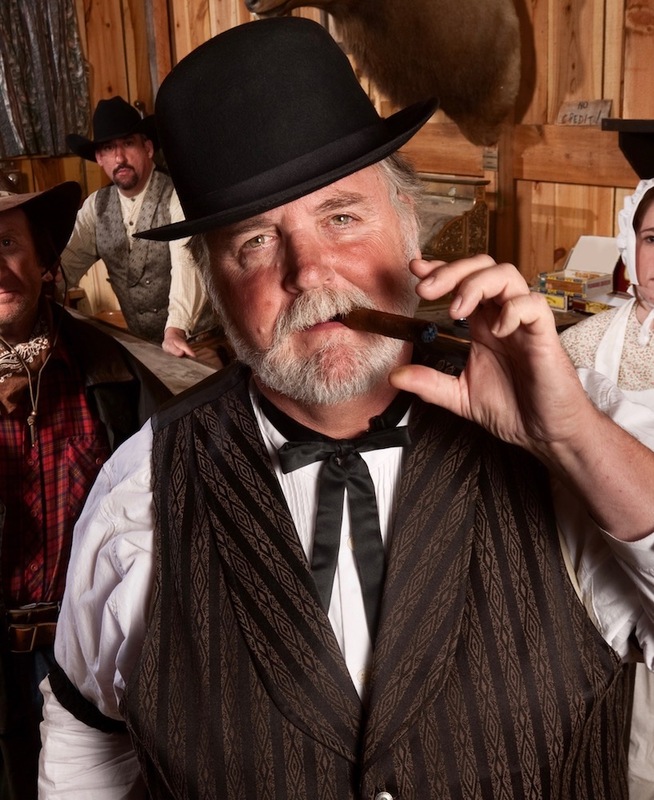 Imagine you awaken early one morning, open your eyes, and find you've been transported back in time to a community in the American Old West. You blink in confusion and shake your head. This can't be real you tell yourself. The street looks like the back lot of a movie set. The few characters out-and-about appear to be straight from central casting. But, there are no cameras. No microphones. No directors or crew members running around in baseball hats. "What the heck happened?" you ask yourself. "How did I get here?" A couple of hours later, after exploring the town in surreptitious fashion, reality sets in. You realize that, for the time being, you have to make the best of it. This means finding a job—some means of support in order to survive and socialize. So, what would you do If you lived in the 1880s? What kind of job, or career, would you pursue? What kind of opportunities could you pursue? Keep in mind, for the most part, you have an advantage. Your knowledge base would be considerably deeper than most of the folks you meet on the streets of Dry Gulch, Cactus Junction, or any other frontier town. Saloonkeeper, or bartender. The saloon represented the social center in a lot of Old West towns. Usually, there were more saloons than churches. Many stayed open 24-hours a day. So, if you don't mind long hours, loud music, and hair-trigger arguments, you might like owning or working in a saloon. Cowboy. Hopefully, you like riding horses and enjoy wide open spaces. 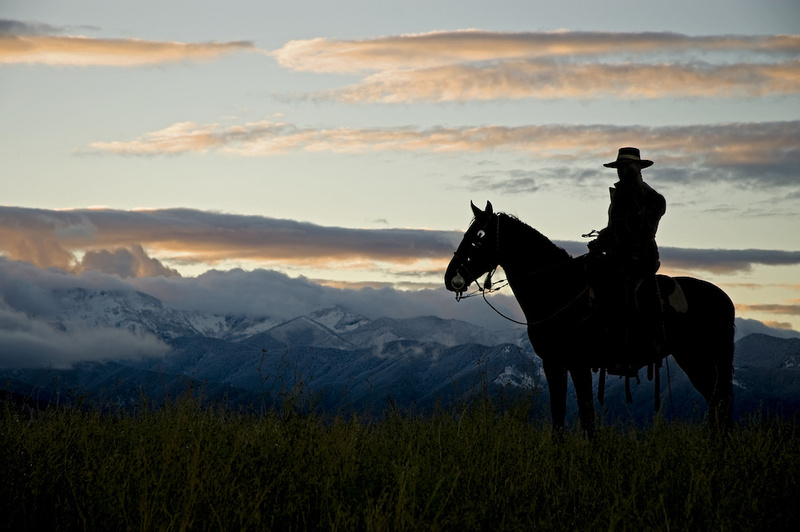 Cattle drives often took months, requiring lots of time in the saddle. You wouldn't get much of a chance to change clothes. Bathing was kind of a hit-and-miss situation. Meals were served at a chuck wagon, and you'd have to love drinking java. Lots of it. Don't forget, there would be those times when, during a horrific storm, you'd have to chase the cattle and round them up before the drive could continue. School Teacher. Frontier schools were usually one-room structures. Inside was a wood or coal-burning stove. Classes varied in size, from three or four and as many as 30 or 40, depending on the size of the community. Teachers usually taught grades one through eight in these one-room schoolhouses. Lawman. If you're the law and order type, you might consider working as a sheriff, or deputy. No formal training programs existed back then. You were, however, expected to have some familiarity with guns. Frontier towns, in reality, didn't experience much crime. Most of it centered around corralling town drunks or quelling rowdiness. 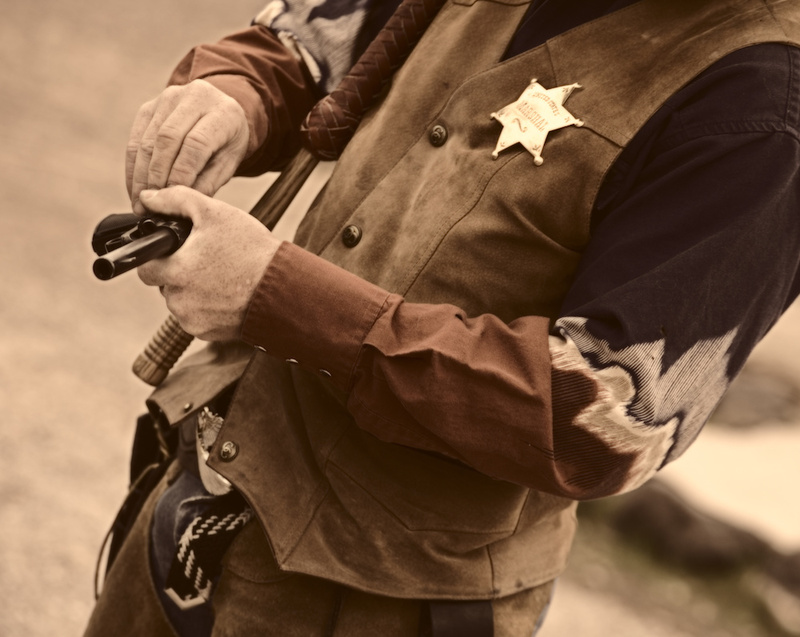 The sheriff was responsible for enforcing all the town's ordinances. The job description also called for him to collect taxes. Lawyer. There were few barriers to becoming a lawyer in the West. Most of those who became lawyers usually worked as an apprentice under the direction of an established attorney. But, if you've watched enough Perry Mason, Matlock, JAG, Law and Order, or Boston Legal over the years you'd probably have enough of a legal background to get by, at least in the beginning. The number of jobs, careers, and opportunities were endless on the American frontier, especially if you embraced any level of entrepreneurial spirit. A few members of Western Fictioneers dropped in their two-cents worth. Jim Meals: "If I suddenly found myself transported back to the old West, I would find Wyatt Earp and have him sign a contract giving me full dime novel rights to his life story." Jacquie Rogers: "I'm most qualified to operate a dairy farm, which I wouldn't mind doing as long as I didn't have to milk cows. My quota on that score is filled, believe me. The second choice would be a hunter, the third choice would be a baker." Dr. Keith Souter: "I like the ‘Outlander’ idea of falling back in time. I suppose I’d be pretty boring and would practice about what I know. I would set up my shingle: Dr. Clay More, Physician, surgeon, phrenologist, and embalmer. "Doctors back then practiced surgery and medicine and often did their own embalming. I have experience of mortuary work and of preparing and restoring bodies before and after an autopsy, so that would be handy. "I also have a long-standing interest in the (pseudo-) science of phrenology. Indeed, I would have enjoyed examining the heads of as many of the legends of the Old West, as chanced to come through my consulting room door. There would undoubtedly be a paper or two to write on his and maybe even a book." J.E.S. Hayes: "I'd be a storyteller. I'd make my living retelling stories from the modern day as science fiction, and selling all the music I know from over the years. I'd make a comfortable living doing this, as I've read and heard and watched so many stories and so much music that I'd never run out of material." Jerry Guin: "I would most likely work for the railroad. I have extensive experience in loading, routing and transporting heavy freight across America and offshore." Charlie Steel: "I would find the best springs and a small river flowing through the low mountains of Colorado that are still left to be homesteaded. I would raise crops on the 160-acre homestead, along with a few steers, a milk cow, chickens, etc. "I would hunt in the mountains and live off the plentiful elk through the winter. and shelter my animals the best I could through storms and have plenty of hay (grass) for that. I would live simply, try to get ahead, expand, and live a quiet peaceful life. And, I would search long and hard for a super smart hardworking woman to be by my side. "I would always go armed (sidearm and rifle) both for game or danger---especially the two-legged kind. "Oh, and during the winter months and times when it is too cold to work, I would sit in my cabin and write by longhand. My stories would be about men and women of the West. about animals, the country, and nature. Back then there were so few writers. Perhaps New York publishers would print my manuscripts." Depending on the Old West town you found yourself in, other opportunities existed, as well. These include farming, logging, and mining. Those who lived in small Old West communities had little access to information, except for periodic mail deliveries. Perhaps owning a print shop or newspaper would be options to consider, provided you had the financial resources. When I asked a couple of friends what they would do in such a situation, I got a variety of answers. "Outlaw," said one. "Or maybe gambler or blackjack dealer." "I'd like to own a brothel," said another. "Railroad Tycoon," someone else mentioned. "Rich widow lady," was the among the most inventive answers. Among the best: "The Man With No Name." Glad you enjoyed it, Wes. Being put in that situation, in need of getting a job quite instantly, I would probably apply at a saloon to begin with, until I'd cleared my head enough to be able to think of something better. ...or if I for some reason wouldn't get a job, maybe I'd join the James-Younger gang LOL. But I'd refuse to follow them to Northfield :) . Ah, this makes even better sense. An insight into the future always helps. What a delightful post. Made me smile. I have teaching experience, so schoolmarm would be a definite possibility. If there wasn't an opening for teacher, I might open a sewing/seamstress business, but saloonkeeper and brothel owner also rank among my choices. It's nice to see what a diverse talent you are, Kaye--schoolmarm-seamstress-saloonkeeper-brothel owner. Talk about entrepreneurial spirit. Schoolteacher. I know my past and present and future tenses. Everything about tenses definitely seals the deal as the town's new schoolmarm. Others have echoed those same thoughts. Tom, I have teaching experience and experience with horses so... I'd apply for a teaching job and build a stables to rent out horses and carriages and stable visitors' horses, and breed horses and train them with a slow and gentle hand to sell to good kind people. And that sounds like the perfect life... especially if a good-looking cowboy would ride into my heart someday. It sounds like a can't-miss perfect business--especially with the addition of the good-looking cowboy scenario. Hmmm? Well, food for thought. My college roommate would probably tell you I'd run a brothel. In reality, I'd probably be a teacher or restaurant owner. (Maybe). Doris. Owning brothels seems to be a popular career pursuit, Doris! Ha. I was late on this having promised Tom I submit what I thought I might manage to do in the Old West. I was in the Army for 26 years and had a wide range of interesting assignments that changed over time. I went through Special Forces training and did 13 months in Vietnam. I learned a great deal about tracking and counter-tracking (losing someone following you). I helped raise a long-range reconnaissance patrol unit after the war and trained with the British SAS, Danish Jagerkorps, and French and German reconnaissance units. I was also a survival instructor and winter operations instructor. I did a lot of hunting, backpacking, scuba diving, and have a lot riding and ranch work experience in Mexico. Some years ago I visited the Gonzales County Museum, Texas (Where Gregorio Cortez was held). I was able to scan through the journal of a 1890s sheriff. He would go out for a week to 10 days and ride the country roads in search of anyone with a wanted poster or who he knew by name if not personally to make arrests, or something more severe if they didn't cooperate. Every two or three days he'd take a break and camp near stream and river crossings to bushwhack them, that is, wait for some "person of interest" to come wandering along. Oh, and he'd fish too. Must have been a rough life. Riding about on your own time schedule, enjoying the quiet and countryside, chatting up acquaintances on the road, a little pot hunting and fishing, plus the potential for a little excitement to keep you on a sharp edge. I'd have to be a bounty hunter, maybe contacting to different countries. Those skills would work well in the Old West I would think. The 1890s sheriff you refer to sounded as if he pursued an exciting but dangerous lifestyle. I couldn't be a schoolteacher. As the holder of a Master's degree from a Big Ten university, I am not well-enough educated to meet the standards demanded of teachers in 19th-century America. Food for thought. Different centuries require different demands. Sounds like a fun concept, Ken. Thanks for passing it on.